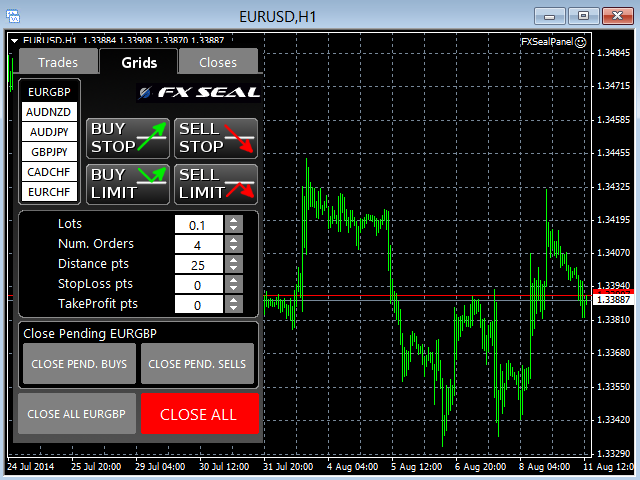 Demo Version - Full features, but only demo accounts and non-USD pairs are allowed. FX Seal Panel is a One-Click-Trading Expert Advisor which helps you to control your trading in up to 6 instruments at once. Grids tab allows you to open and close pending orders grids, setting the size, number of orders, the distance between them, and the StopLoss and TakeProfit. 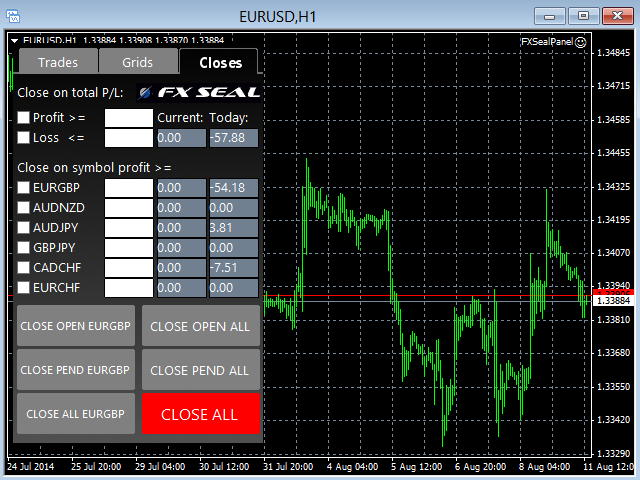 Closes tab allows you to preset overall profits or losses targets, closing all the positions when the overall target is reached, or do it for each instrument separately.